66234. This delightful Midland Railway wooden-post shunting signal is still occasionally used though the siding in the foreground is currently redundant. 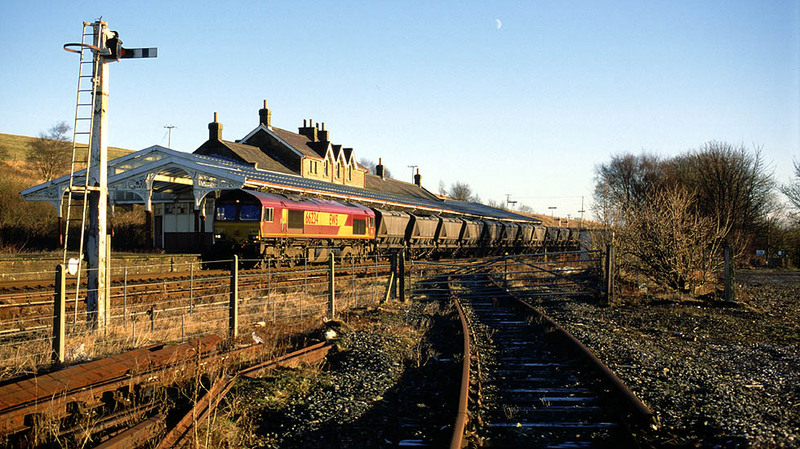 It had been used as a railhead for ballast storage at the end of 2001 in connection with track relaying on the S & C though it was originally intended to be a base for the West Coast Railway Company, currently based at Carnforth.